Opportunity and position information: Every employee with Tri-County International Trucks is absolutely critical to its success. We have successfully served the Michigan business community for over 50 years and we take great pride in our reputation. Our rapid growth and fast-paced environment make this an awesome place to work. Happy employees make happy customers, and we reward individuals who are ready to work hard and stay motivated. Responsibilities include, but are not limited to test driving, delivering, moving and washing/cleaning vehicles and ensuring units are in good working condition. Other responsibilities include performing pre and post trip inspections, fueling and washing trucks and maintaining the shop and parking lot. Qualified candidates must be able to use a calculator, read a map and possess a valid CDL license, minimum class B endorsement with a clean driving record, and be able to drive a manual and automatic transmission. Qualified candidates must possess a high school diploma or equivalent. Physical/drug screen and criminal clearances are required. 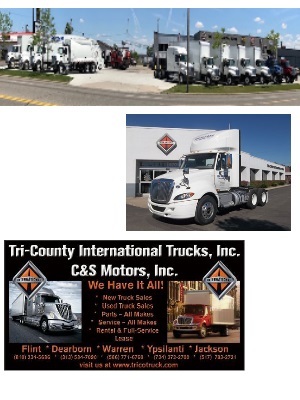 Opportunity offered by: Tri-County International Trucks, Inc.